There’s something about the Remington neighborhood in Baltimore that is so charming to me. And I may not even be talking about the whole neighborhood, but a tiny block or even half a block area has become another in a line of safe places to be that are away from everyone, yet in plain sight of those same everyone’s. What strikes me is how just a couple of years ago, this was a neighborhood that had all the telltale signs of expansion but looked fine in before pictures, and looks similar in after, with a few masterful additions. While one place has become a source of necessary health and healing, another is more of the same on a different level. R. House (I wrote about it once before) has been a source of new food, new experiences, and just a place for rebirth, rejuvenation, and welcome solitude. On several occasions I’ve been here with friends, but recently it’s always been me and just me. And this is a place where it’s ok to be just you. Actually most places can fit that fold if you see fit and makes you feel good if that resonates within your heart and soul. But something about R. House just feels so comforting, so familiar, and so divine. It’s as if I’ve been here before in a previous life, but can’t connect all the dots just yet. Not that I’m supposed to nor ever will, but it’s fun to romanticize. And this place is worthy of all the romanticizing. There’s a dozen or so food choices that didn’t exist just a few years ago. And it just has this welcoming aura from the outside and from the open you open those double doors. Yes it’s those simple things that really get me, move me, and fill my spirit whole. The r. bar is just the same. I don’t know anyone that regularly hangs out here. There’s friends that have their places to go, just like I do. Some are not always my favorite, but they’re safe, cozy, familiar, and there’s the path of least resistance factor. Keep in mind, it’s only a bar but it symbolizes a lot. Sometimes going to different places means going at it alone. I’ve been going at it alone for 39 years and change, that I’m used to it in many ways by now. Luckily, there’s a familiar face behind the bar who’ll make you feel good and welcome. I always feel welcome here even if I don’t know where the love is coming from, or it’s not actually ‘there’. So coming from one place of healing to another means simply a glass of wine, nothing more nothing less. To me I don’t sense this is a place for rowdiness, it’s a place of peace, a place for folks to work, conduct business, enjoy a few friends, and in my case, enjoy solitude. With that, the mutual recommendation was the 2015 Carménère from Falernia Winery (contact information here) was poured to perfection. It’s getting colder out there, and while it may not be full bodied wine season, it was on this day. And I took my time sipping this thing, because I appreciated everything around me, which was a little noise, great ambiance, my friend behind the bar, but then it was just me. I take my few pictures and then that’s that. This is a wine that will be a crowd pleaser at any party, whether it’s one that you’ll be attending in a couple of months or next week. I want to be careful with my language because to me it’s way too early to think about all the festivities in the next month or so, as fall is a season for letting go, grieving, and healing And to me, and I’m sure many others, it’s more important now than ever before. Yes the tannins are big and bold, as a wine like this would be. The synopsis mentions there’s chocolate and vanilla on the nose, which I actually didn’t notice. But in hindsight I get it. 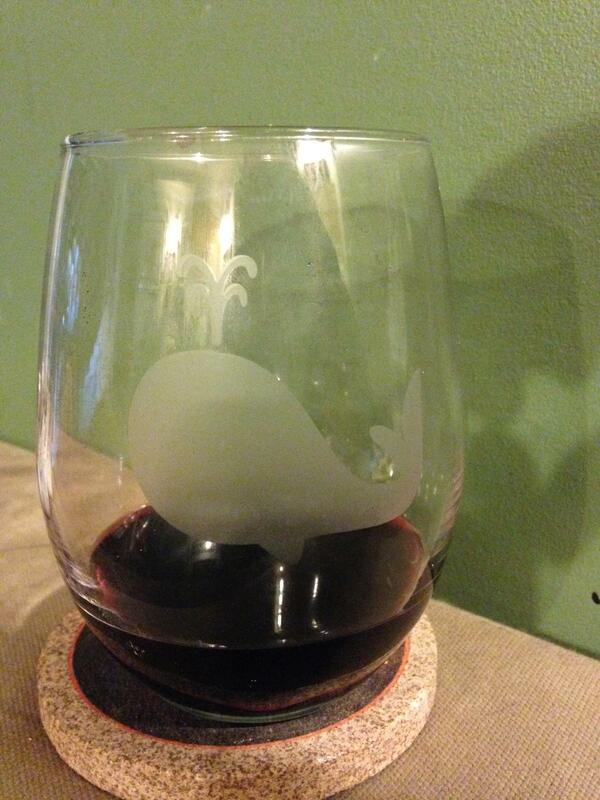 It fits a wine like this. But most importantly, is it a wine you want? I loved it and I think in this instance almost anything would have worked. But I’m glad I had it at this moment in time, and nowhere else. Life is great like that. I love R. House as the home away from home that it’s become for me. It’s convenient but there’s something much bigger going on here, and words don’t always need to apply or can apply. It’s just larger-than-life. That’s all I got right now. It’s a glorious place that is meant to be shared with and embraced by everyone. How it is in this incarnation is a masterpiece, and I can’t wait to see how it expands and evolves, even if doesn’t really need to. Hopefully this will be revisited before the year is out. If I’m correct, this is the first time I’ll be writing about a Carmenere since starting this blog. What took me so long? Well there’s so many amazing wines to talk about. I will never get to them all. And why would I want to? That’s what makes this journey brilliant. There will never be enough time to try them all. Fortunately there is time to try an assortment. Carmenere was one of the original six grapes in France, along with Cabernet Sauvignon, Petit Verdot, Merlot, Cabernet Franc, and Malbec. It faded into obscurity until the early 90’s and now found its proper home (as the national grape) in Chile. If this story sound familiar, the same thing happened with Malbec. And now that’s the most popular grape of Argentina. So this brings me to the 2011 Car Men Air distributed by Bronco Wine Company. I purchased this for under $10 at my favorite Trade Joe’s in Alexandria, VA. The play on words funny yet nothing about this wine is. It’s a straight-forward and no-thrills bottle. It’s got just the right amount of oak and spiciness that it doesn’t taste like a rock-bottom priced vino. But not much more than that. If I’m to assume correctly, black cherry, smoke, spices, and the aforementioned oak are all easily detectable. Anything else is not as discernible. But hey, that’s just my opinion. It did have a darker tint than many wines we’re accustomed to. I brought this bottle over to a friends house to relax, sip, and crack some jokes. Not about the wine but in general. The weather is warming up and spirits are doing the same. It’s about time. As long as this wine was somewhat acceptable, then it’s going to taste that much better with good company and a good energy. If this or any wine were appalling then we’d be hard pressed to enjoy ourselves. Then again we might move on and find a suitable replacement. I’m sounding like I’m down on this wine. Not at all. I think I’m just excited and all over the place with this sudden heat wave that’s hitting the east coast. I’m salivating at the thought of all the outdoor activities and all the great wines that I’ll be having during some of those fun events. I hope you’re getting amped up too. After perusing their list, I’ve noticed many I’ve had in the past. This will be revisited at a later date. If you’re interested in finding this or other wines, click here. Lastly, here is my most recent post on a great wine from Trader Joe’s. And here’s one that wasn’t as golden. Winter time is winding down but some of these impeccable wines I’ll try will not. We’re just getting started. For this weeks review we go into the collection. This was a bottle my friends and I enjoyed a few weeks back. 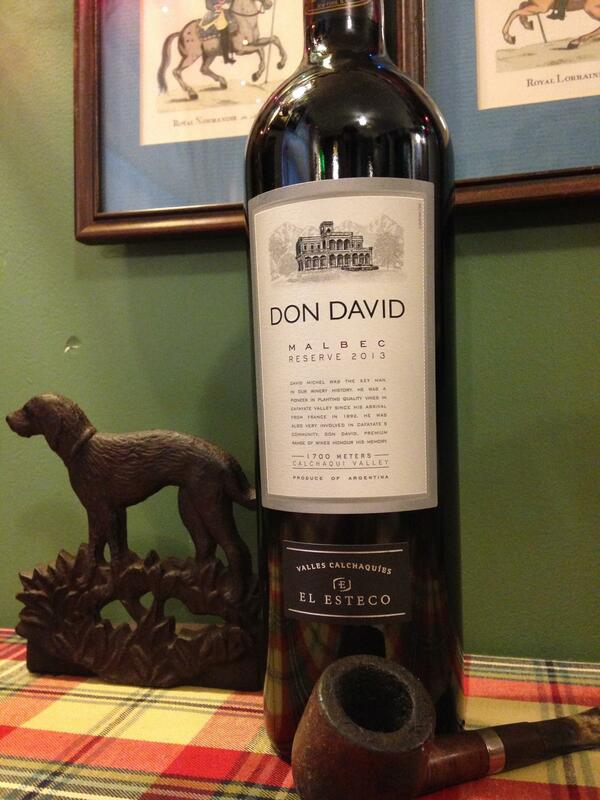 I am happy to discuss the 2013 Don David Reserve Malbec. The timing of this post feels about right and I have mixed feelings about that. We’re approaching fall and this is such an apropos wine. Malbec has gained a lot of popularity in recent years and understandably so. It’s no longer being grown just in France, Argentina, or Chile. Now it’s universally loved and grown all over the globe. It’s also a medium-to full-bodied wine that can be enjoyed with many types of food and over most of the calendar year. So how did this one turn out? Well I really enjoyed it. Not only does it feel like a fall wine, but it has a lot of the components within the wine itself that are autumn like. It represents an ever-so-slight change in the atmosphere. While sipping my glass I did detect some unique flavors. I felt something smokey and then a hint of vanilla and chocolate over the course of my experience. To my pleasant surprise I was right on all three, per the technical sheet. Maybe it was the mood I was in or how relaxed I was when enjoying my wine. I recall I was in a very peaceful state of mind at the time. And I tend to think that when you’re relaxed and not trying too hard, the flavors can be much more easily detected. That analogy can be applied to much of our daily lives. I don’t believe this is an accident, but seeing pipe tobacco as one of the listed scents makes me smile. This photo was taken before I knew that was included per the winemaker. And how beautiful is the color? It has more or purplish and reddish look to it. Ah the little things. This was a well put together one and a great way to get September going. Even though I had this in August! Nevertheless, I’m still celebrating Summer but can also appreciating what the coming months have to offer. I will do my best to promote the wines that will best represent what’s to come! I don’t recall where I purchased this bottle from and for those at least in the Baltimore area, I honestly haven’t seen it in many wine shoppes. But if you do come across it, the average price tag seems to range around $15 and I feel that’s a justified price.